Osteoarthritis patients should steer clear of paracetamol in favour of anti-inflammatories. Osteoarthritis (OA) patients have been cautioned about the overuse of paracetamol to counteract pain following recent reports about the alarming number of Australians hospitalised for overdosing on the pain killer. Paracetamol poisoning is one of the most common reasons for hospitalisation in Australia with an estimated 150 patients being admitted per week, according to reports. In a recent statement, Arthritis Australia and the Australian Rheumatology Association warned users about the dangers of overdosing – and how alarmingly easy it is to unintentionally do so. "Part of the challenge is that paracetamol is frequently in cold and flu remedies that people take in addition to their regular analgesia, and therefore accidental over-dosage is not unusual," the statement said. "These concerns echo similar concerns by the main regulatory body in the US, the Food and Drug Authority (FDA), who have recommended a maximal daily dose of 3.2gm, as opposed to 4gm commonly recommended." The tendency to overuse it for pain management lies in the fact that paracetamol is also available in very large packs of between 96-100 pills. It's an issue which could easily be addressed by health authorities, according to Monash University's Professor Andis Graudins. "While restricting pack sizes won't reduce the number of paracetamol overdoses it may reduce the severity of some overdoses," he said. Paracetamol has long been recommended as the primary treatment for OA pain management, but the University of Sydney's Professor David Hunter hopes clinicians and pharmacists will educate patients to consider other alternatives. "Paracetamol has been the first-line recommended treatment for osteoarthritis pain for very many years and … it is readily available over the counter," he said. "Guidelines no longer recommend paracetamol as the first-line treatment in osteoarthritis and we more strongly advocate the use of agents … for the majority of people who have the condition. "It may well take a number of years to get the information out there, so that paracetamol is no longer advocated … However, in the context of osteoarthritis, which is one of the most common reasons for taking paracetamol, I think it is likely people will start using it less frequently and replacing it with … topical anti-inflammatories." 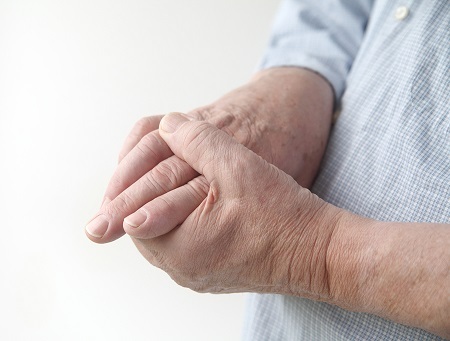 The warnings and new guidelines come in the lead up to World Arthritis Day (12 October), which aims to create awareness about people with rheumatic and musculoskeletal disorders, and influence public policy.